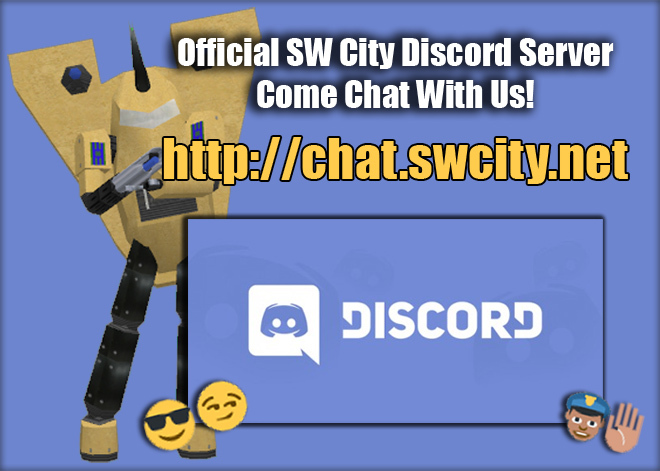 SW City has set up their own Discord server with many familiar faces from around the city (currently counting 15+!). Anyone can come join the server, which is located at in the pict below. Discord can be downloaded from https://discordapp.com/ on to your computer or phone. Come join the chat and say hello. Comit tested it... seems to work fine!